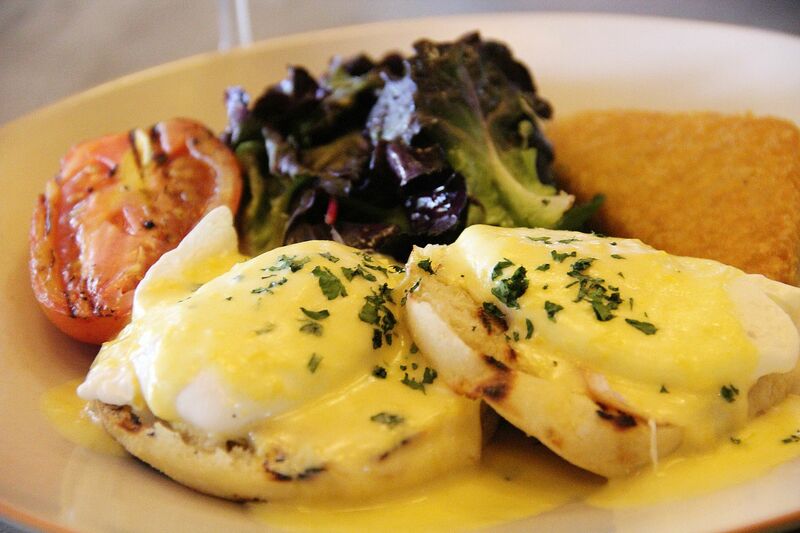 I always try to find time for a leisurely brunch during the weekend and it's great that most restaurants these days serve brunch till 4pm or even all-day brunch. 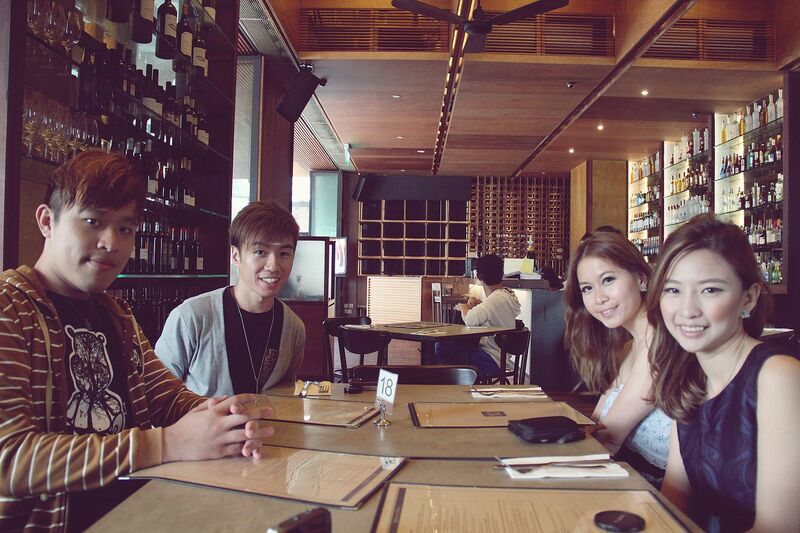 I'm always on the lookout for new restaurants that serve brunch, so you can imagine my delight when Karen invited me for a food review at District 10 together with Calvin and Darren. Located at the boundary of the CBD district at UE Square (how strategic! 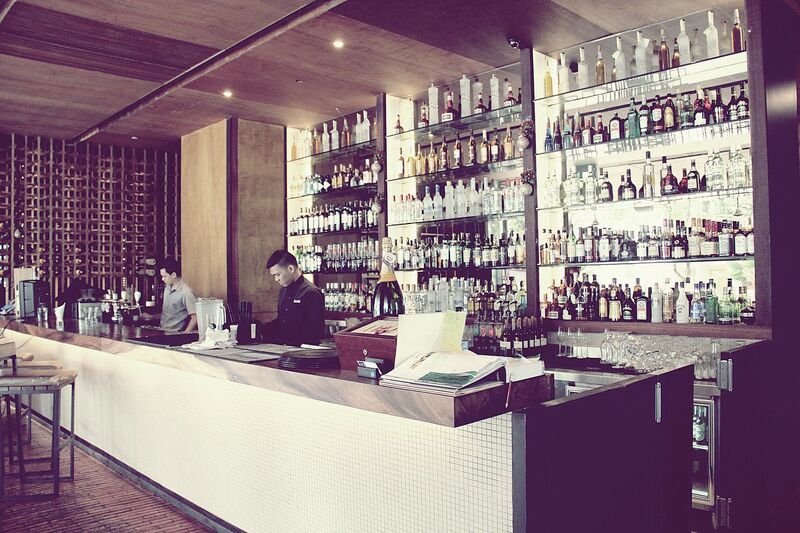 ), District 10 is a quiet restaurant with a wonderful chillout vibe, perfect for losing yourself to a couple of hours well spent. Look at the wine bottles on display! 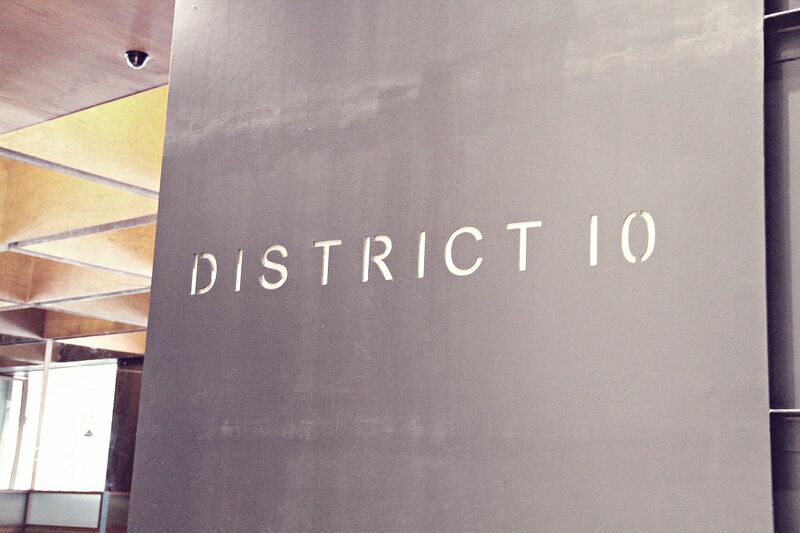 Yes, you can also head to District 10 if you're game for drinks after work on weekdays! Losing ourselves to a delightful spread of breakfast varieties complete with desserts and drinks was precisely what we did on a lovely Sunday afternoon! 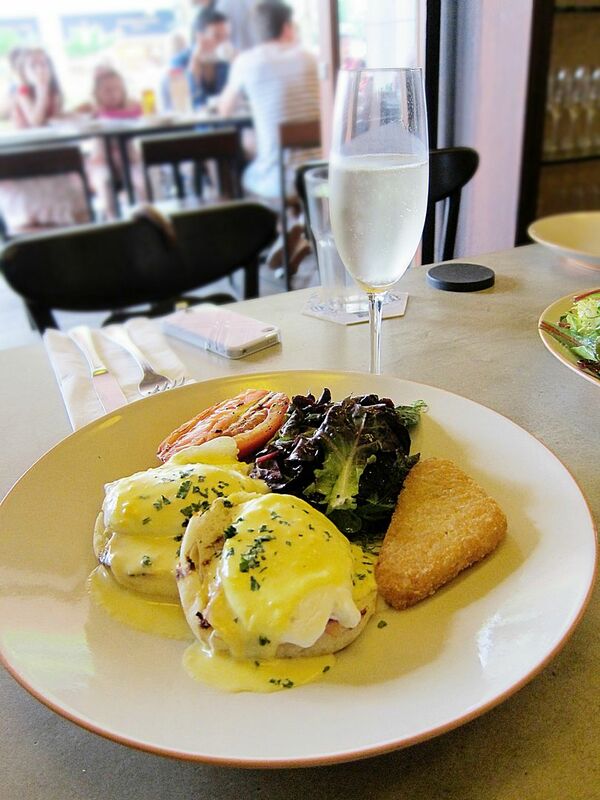 I have a huge soft spot for Eggs Benedict (S$24) - as Karen rightly pointed out, and I almost always order this when I'm out for brunch. I love the spanish Jamon Iberico Ham that accompanied the poached eggs topped with hollandaise sauce. I was also pleasantly surprised to see crispy hash browns on the plate, which is a breath of fresh air for a dish like Eggs Benedict. 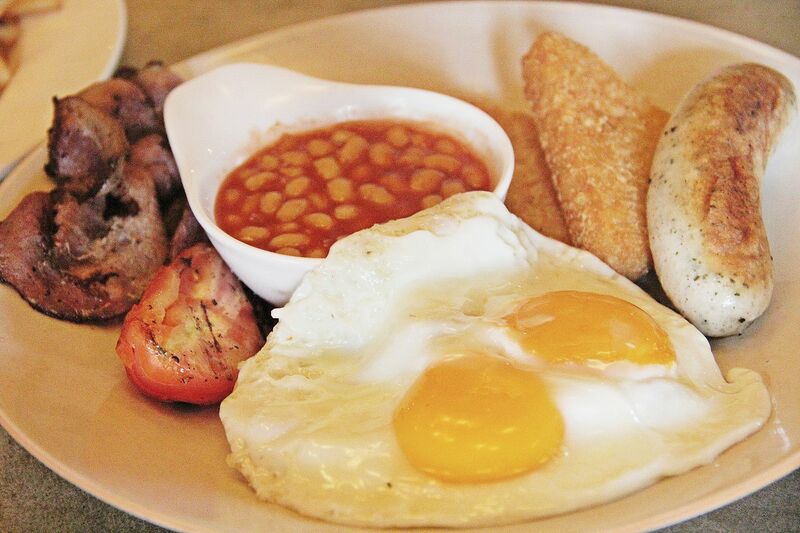 I adore hash browns and having all my favourite breakfast foods in one dish is enough to make my day. 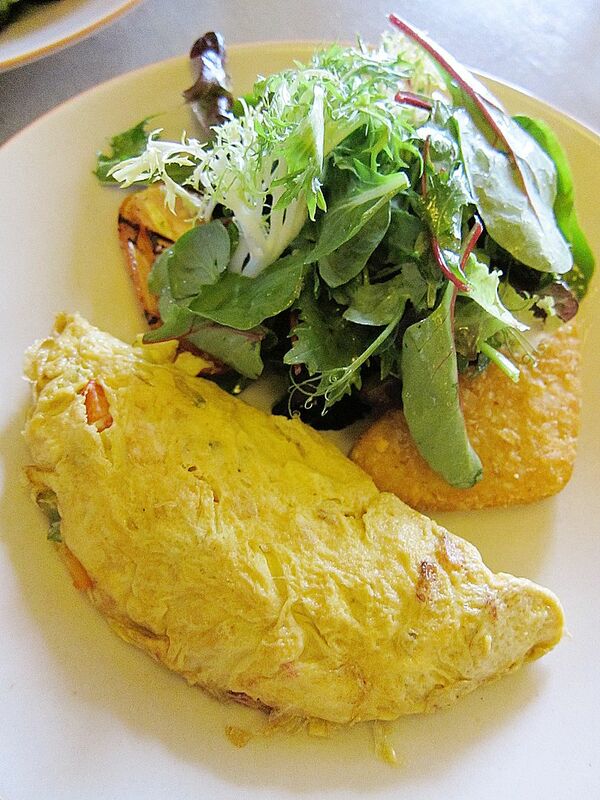 The Spanish Omelette (S$18) is an interesting addition to the breakfast menu. Chock full of chorizo sausages and nutritious vegetables, this dish certainly packs a punch! 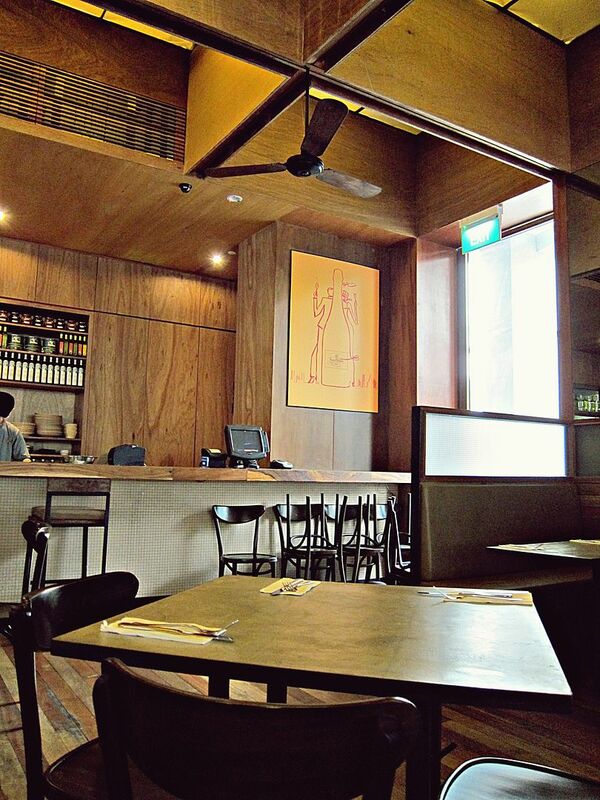 Aside from egg dishes, Karen decided to order something out of the ordinary - Wagyu Meatballs (S$24)! 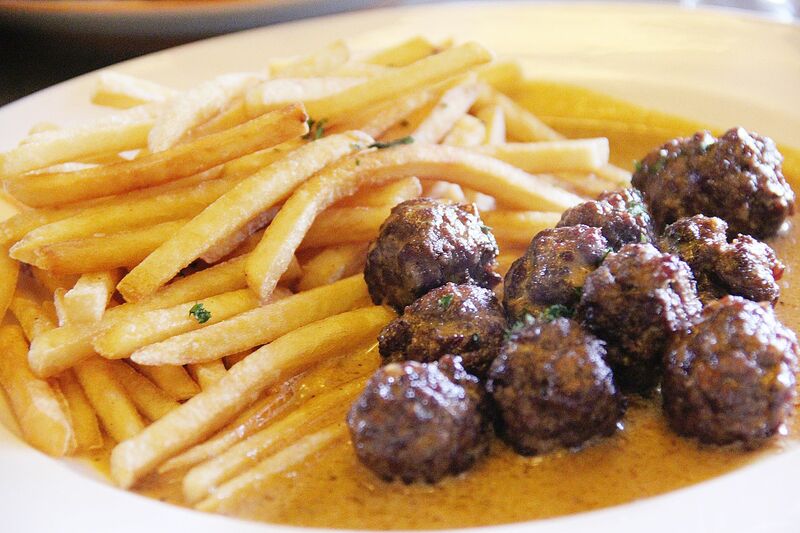 I thought the meatballs could be a little more moist but I absolutely loved the crispy shoestring fries which were fried to golden perfection. The brunch ended off on a sweet note with delectable desserts. The Sour Cherry Pie (S$12) that came with a dollop of pistachio ice-cream tasted great. The ice-cream flavour was very unique and complemented the cherries, which had just a tinge of sourness. The Bitter Chocolate Tart (S$12) was my favourite of the lot. I generally like chocolate desserts and this was no exception. 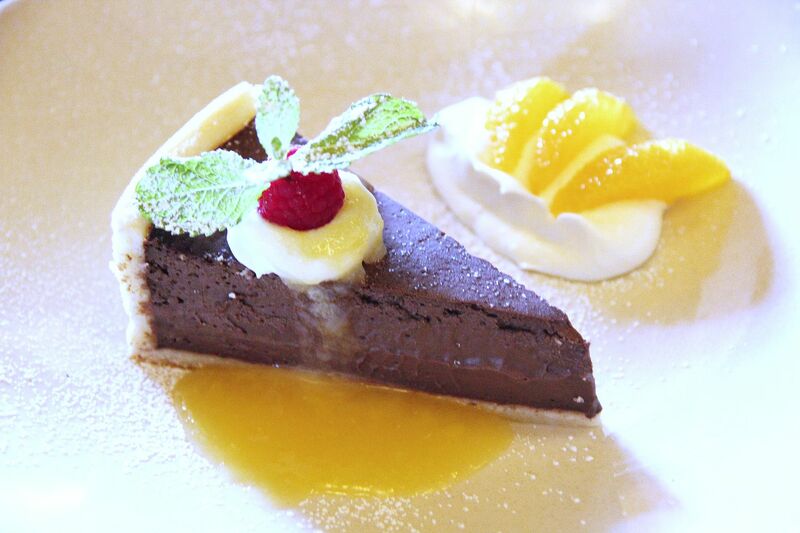 This lovely tart was made of delicious, rich dark chocolate that literally set my heart aflutter. 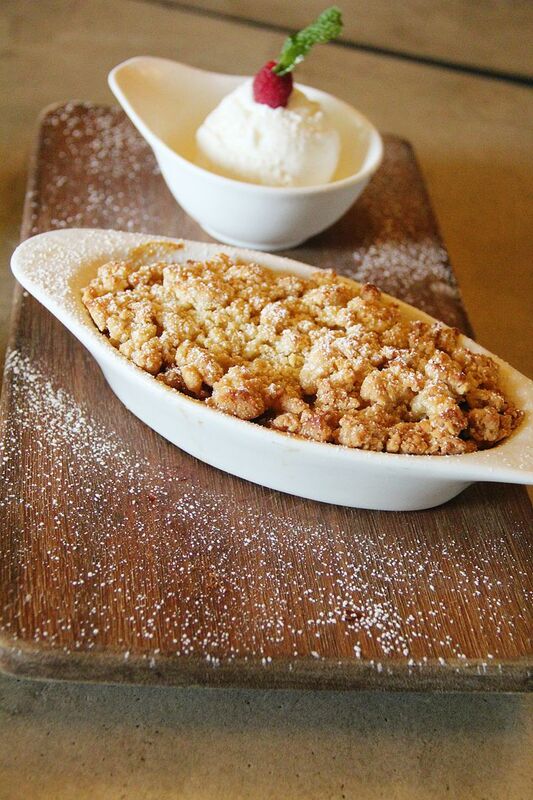 The Warm Apple Crumble (S$14) was equally good and every spoonful brought moist apple chunks lightly sprinkled with crumble to my mouth. 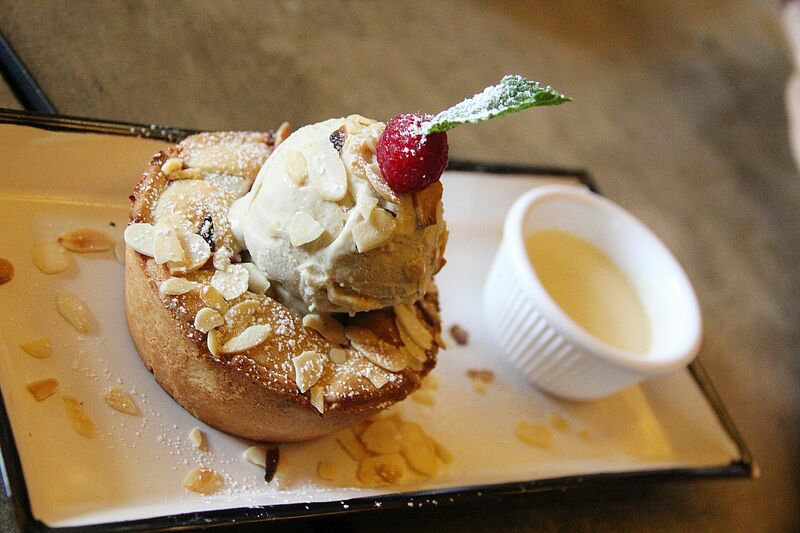 Coupled with the sweet, lingering taste of creamy vanilla ice-cream, this dessert was very satisfying indeed. 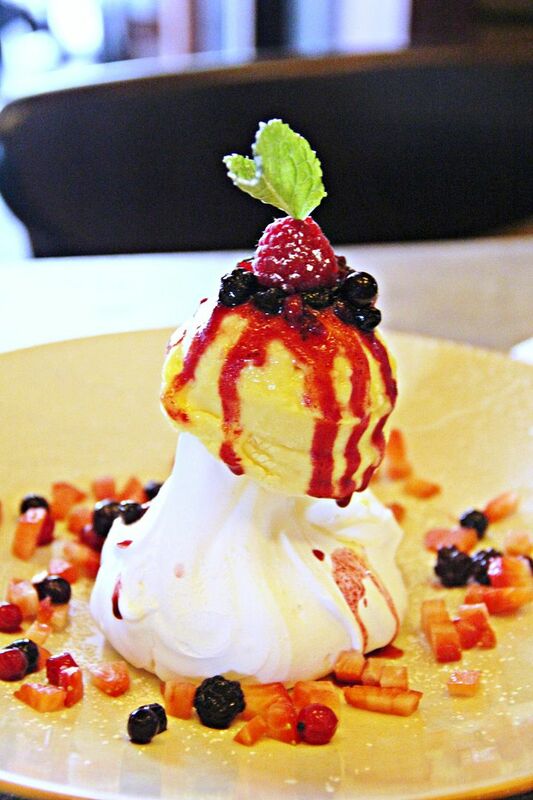 I love meringue and pavlovas, so it was no surprise that I ordered the Pavlova (S$12) here. I liked the tangy flavour of the passionfruit ice-cream, which went really well with the meringue. We were bursting at the seams by the end of the meal, but we had a lot of fun chatting and savouring all the different dishes at the restaurant!